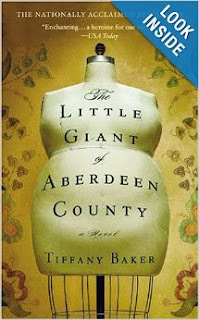 In Aberdeen County there are quite a few secrets. Some secrets lie beyond the grave. Other secrets have never been forgiven. Not only are there unlocked stories in Aberdeen County, there are also people who are very creative. If not creative with there hands, their bodies are sculptured in a way which will never be forgotten. I looked for Christ in Christmas. and the center of a gem. In the newborn baby's cry. and the mother's softest sigh. and in the church choir's carol near by. sharing love, hope, peace and good will. Hallelujah I sing and look at the candle on the sill. 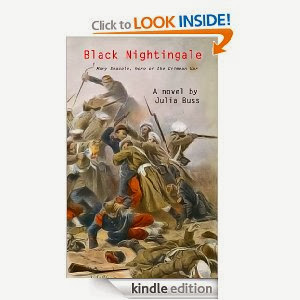 Black Nightingale by Julia Buss is an inspiring Historical novel about Mary Seacole. During the Crimean War, Mary Seacole was a very compassionate nurse who served on the British side. Britain, France and Russia were involved in this war. The British and French fought against Russia. Mary Seacole never took sides. If a soldier was injured, near death, she helped that soldier. Whether he was British, French or Russian didn't matter to her. She only saw the pain, the ugly wounds or the Scurvy the soldier was suffering with at the time. 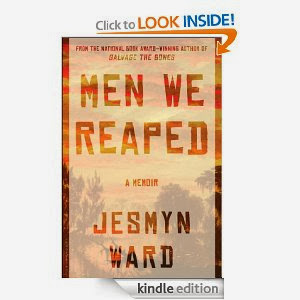 Not only does the Historical novel portray a fantastic picture of a great woman it also shows the horrors of war. I don't think my mind comprehended what men saw during that time of war. Julia Buss describes in great detail the men who lost limbs, dead bodies piled up unburied, a doctor who didn't wash his hands, mud and blood mixed together, etc. This is a very simple challenge for you all. All you have to do is write a poem for Christmas. Serious, humour or any other type, enjoy writing. See the poets who have posted below. Good luck to you all. Christmas lights shine bright while reindeer fly in the night. My gifts are wrapped tight. The angels on the tree in flight. On Bethlehem's stars they light. Baby Jesus' smiles with all His might. His swaddling clothes not too tight. The Wise men bow with delight. Their precious gifts are such a sight. The sheep baas thanks on the right. 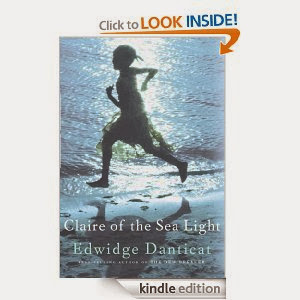 Just like sea light shows the ocean in different shades, the novel Claire of the Sea Light by Edwidge Danticat shows Claire in many blended shades while growing up. From Claire's very beginning she is passed along to someone else. It seems like Claire's life will call for her to always stay on the move. First, Claire's mother dies immediately after she gives birth to Claire. Then, Nozias, the fisherman and father, of Claire decides he doesn't have the skill to grow a girl successfully. He asks and wants to pass Claire off to the fabric store owner, Gaelle. Is it any wonder that the day will come when Claire will choose to run away from her life? At least, this time the going and coming is all in her hands. She's the captain of her ship this time. Then we both reached for Kendall and Asia. We formed a circle of four, holding hands, and without me having to say a word, the ladies bowed their heads. And there in front of the altar, we raised our petitions to God. 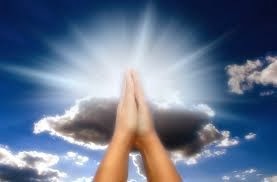 We prayed our silent prayers." 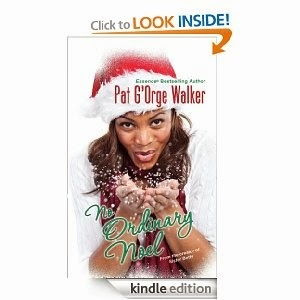 This is another fun novel by Pat G'orge Walker. In No Ordinary Noel, the church is having trouble with the bank. The church is low on funds. It's during this Christmas season when Freddie Noel wins the lottery big time. Freddie Noel is willing and now able to help the church get out of its money ditch. However, there is a problem. Rev. Tom hates lotteries and anything to do with gambling whether for a good cause or not. Will Rev. Tom in the midst of so much debt desert his values, or will he remain steadfast about not accepting any lottery money from Freddie Noel?